“Max Reger: the Man and his Music” will be performed by some of the best students of Mannes College, in honor of the 100th year since Reger’s death. The program will be presented and curated by Donald Wagner, a member of the Mannes Board of Governors and a long-time Reger enthusiast and scholar. Reger was a composer whose legacy has been filled with contradictions. Celebrated in his time as a leading member of the avant-garde and one of the key modernists of the day, he was also criticized for being a weak imitator of Brahms and for being unable to escape Bach’s shadow. Fiercely defended by his supporters, he was also the subject of withering critical attacks- both professional and personal. Despite achieving tremendous fame during his lifetime, his music quickly receded from concert stages after his death. This program will explore Reger’s life and delve into the question of how a composer of his genius, significance and astonishing productivity could have fallen into such obscurity after his death. The program will offer a variety of Reger’s music, including works for solo piano, piano four hands, chamber music and lieder. Highlights include selections from the Improvisationen Op. 18, Humoresken Op. 20, Fantasiestucke Op. 26 and Silhouetten Op. 53 for piano, Variations on a Theme of Mozart Op. 132 for piano four hands, various chamber music selections for violin and piano, solo cello, cello and piano and several outstanding lieder. The pieces were written from 1890 to 1914 and show the wide range of Reger’s compositional achievements. 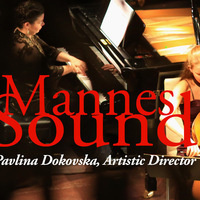 Sponsored by Mannes School of Music.